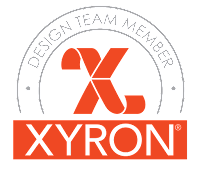 A sweet and talented friend asked me to join her on an amazing adventure and I am proud to announce that I am one of 5 wonderfully creative ladies the make up the brand new Lynda Kanase Design Team!! 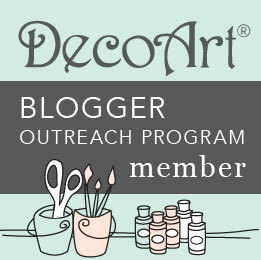 Please be sure to stop by their blogs and show them some love!! You can read more about each of them on their blogs or here. 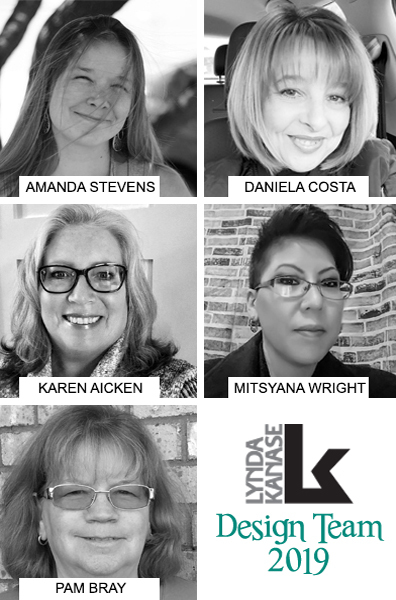 Today, these amazing women and I will be sharing with you wonderful projects showcasing Lynda Kanase's Spring Things line!! I LOVE Spring!! What's there not to love? Winter gloom is disappearing and there's nothing I love more than flowers, flowers, everywhere! I love to pick them, smell them, wear them, and of course, color them! 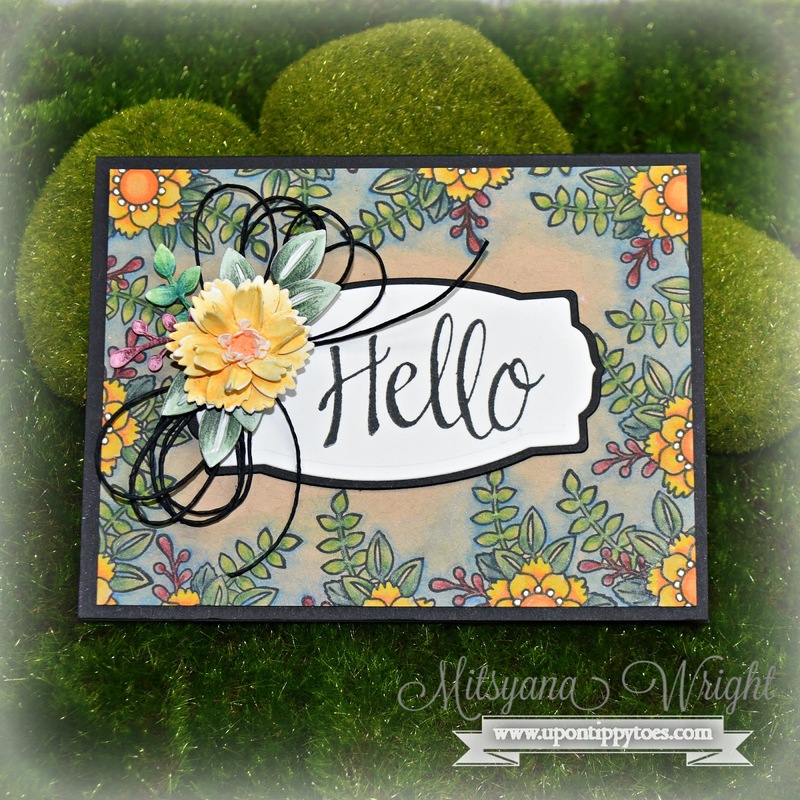 And today, I colored up a storm and create a floral card that's sure to brighten your day! I started by cutting my tan toned mixed media paper down to 4"x 5.25". 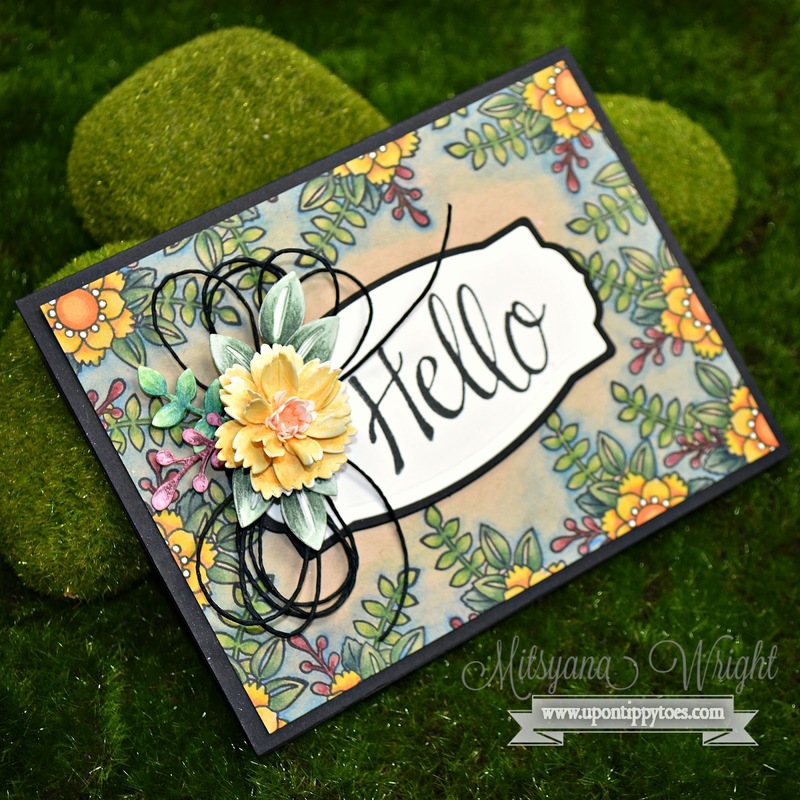 I used the floral stamp from Lynda Kanase's Spring Phrases and mounted it to a clear acrylic block. 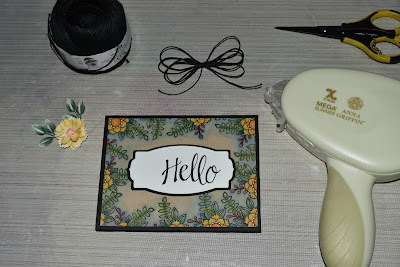 I inked the stamp using Colorbox dye ink in Wicked Black to stamp a floral frame along the perimeter of my tan cardstock. 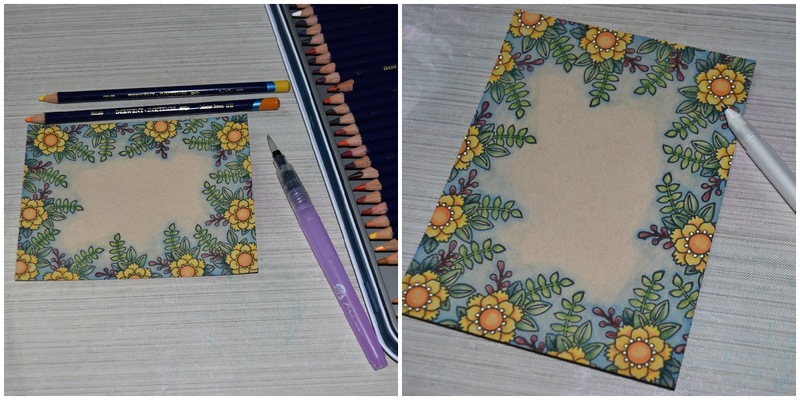 Then, I colored the floral images using my Derwent Inktense Color Pencils and blended out the colors using a water pen. To make the stamen details pop, I used a Sakura white gel pen to add highlights. 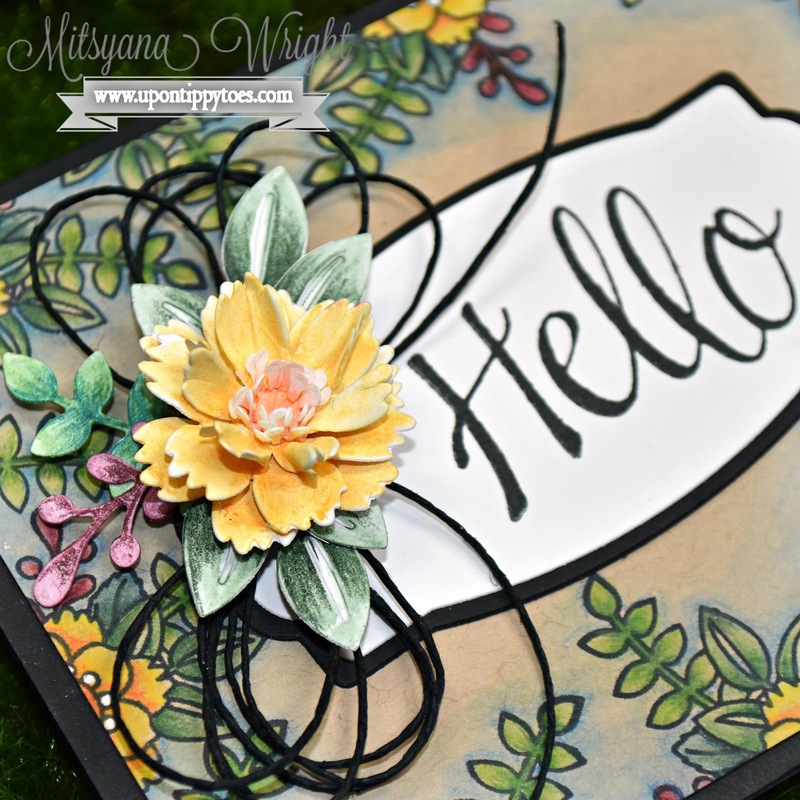 I die cut these gorgeous flowers and leaves from Lynda's Spring Things die set from white mixed media paper. And then shaded them with my Inktense pencils and watercolored each die cut using my water pen. 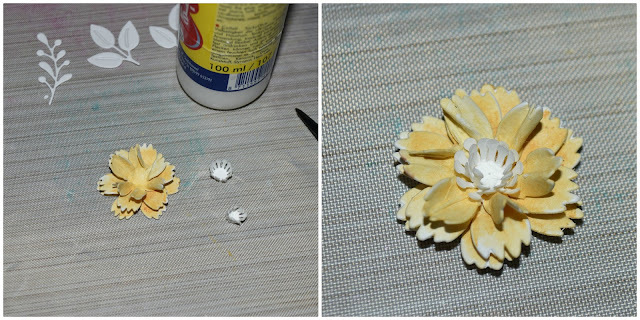 While the flowers wet still damp and pliable, I creased and molded each flower then set them aside to fully dry. Once they were dried, I used mixed media glue to layer and attach the flowers together. Then finished water coloring the center of the flowers and the leaves. I die-cut the layered labels from the Spring Things set. Cutting the larger label in black and the smaller one in white. I used my MISTI stamping tool to stamp the word Hello (from the Spring Phrases set) in Wicked Black ink. I chose to use the MISTI because quite often mess up on my sentiment stamping and this ensures that they always come out perfect. Then attached my Hello label onto the bigger black one using my Xyron Mega Runner. I attached my colored card front onto an A2 card base I made from 110 lb black cardstock. And then attached the label to the center. I created a multi-loop bow from black twine and glued it to the upper left-hand corner of the label. 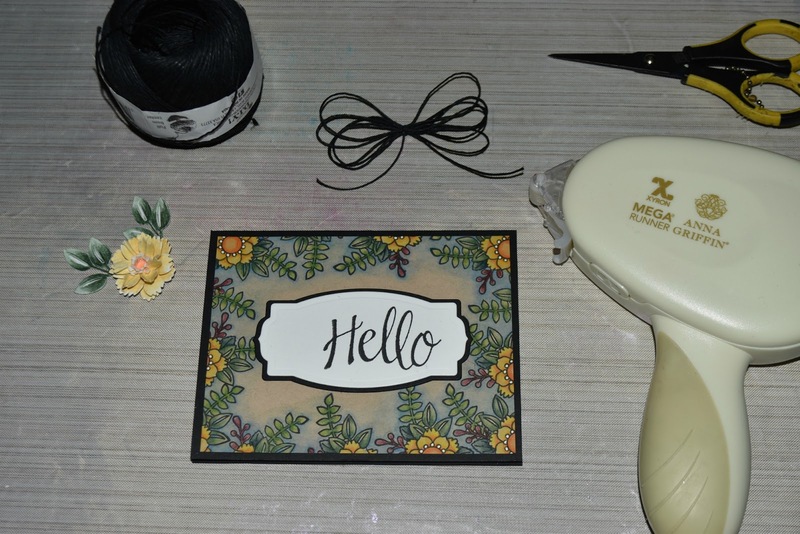 Then glued the three-dimensional die-cut flower onto the center knot of the bow and tucked and glued the leaves and stems behind the flower. Make sure you visit these gals for even more Spring Thing projects and give them some love!! Beautiful card! Love your background and beautiful coloring! Love!